Visit the Pizza Ranch FunZone Arcade! Rate and review Pizza Ranch FunZone Arcade in Sterling, IL, United States! 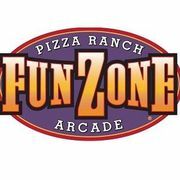 Share your experiences at Pizza Ranch FunZone Arcade with your friends or discover more Arts & Entertainment in Sterling, IL, United States.